Though it isn't an everyday occurrence to connect to your router, it is necessary when you need to address a network-wide problem or make changes to your network, like to set up port forwarding rules, configure firmware updates, etc. To access a router as an admin requires that you know the router's IP address and the administrative user's password and username. Verify that your computer is connected to the router using either an Ethernet cable or a wireless connection. Identify the IP address of the router. Most routers are manufactured to use a default address like 192.168.0.1, 192.168.1.1, or 192.168.2.1. If those don't work and you're not sure what your specific router's default IP address is, or it's not the default address anymore because you've changed it, see our How to Find Your Default Gateway IP Address guide. Open a web browser like Microsoft Edge, Internet Explorer, Chrome or Firefox, and request a connection to the router using its IP address. For example, type http://192.168.1.1 in the address bar to connect to a router that has 192.168.1.1 has its IP address. Enter the administrative login information to authenticate and access the admin settings. Routers are shipped with default usernames and passwords. This is usually the word admin but might be different for your router (some might not even have a password or might not use a username). Follow these links to see the default passwords and usernames for NETGEAR, D-Link, Linksys and Cisco routers if you have one of those routers, or consult your router's documentation if you're not sure what it is. Some routers are not accessed in the way described above. Most are, but a few, like Google Wifi, require different (usually easier) steps, such as using a mobile app. What If I Can't Access My Router? If after trying the username and password on the router, the browser returns an error message, your computer might not be connected to the correct router. Or, the username/password combo might not have been correct. The final option above will restore the router to its default condition with the IP address, username, and password that it was shipped with. 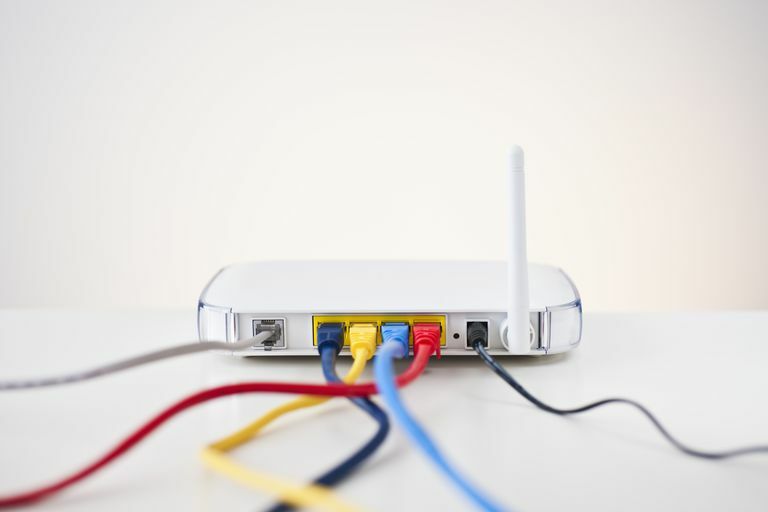 Setting up a router for the first time is best done over a wired connection so that your connection isn't dropped if the security or wireless settings are changed in the process. However, it can be done over wireless too. When accessing a router via Wi-Fi, keep the computer close to the router - in the same room if necessary - to avoid connection drops due to interference or weak wireless signals.